Fitbit—one of the most popular wearables on the planet—have two waterproof fitness trackers for swimmers. Here are reviews of both of Fitbits waterproof trackers for swimming. One of the enjoyable aspects of swimming is the ability to track and measure our laps in the pool. By being able to compete against yourself—swimming more laps at a faster speed than you did yesterday—you stay engaged in your workouts and perhaps more importantly, stay motivated over the long term. In the past, swimmers would track and measure their workouts with the help of a pace clock and a log book. 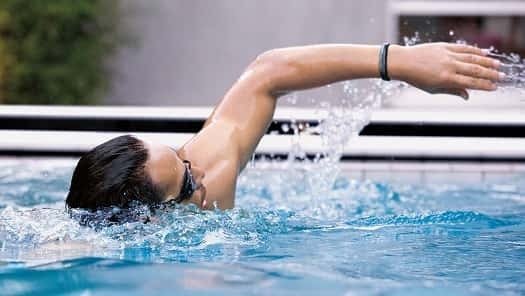 Nowadays, there is no shortage of top waterproof fitness trackers that help swimmers measure, track and even hack their training. 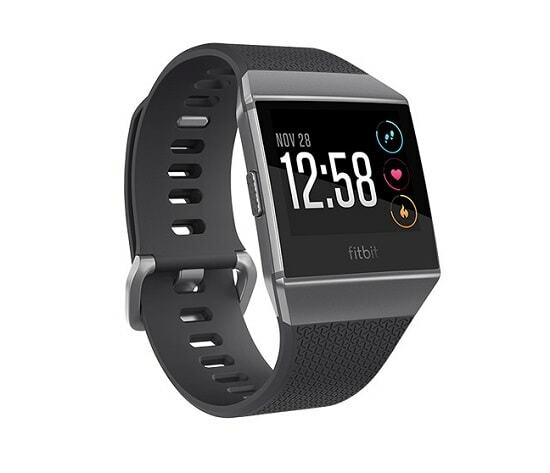 Fitbit, one of the leading wearable manufacturers on the planet, have added their own contributions to the waterproof wearables market with a series of models. 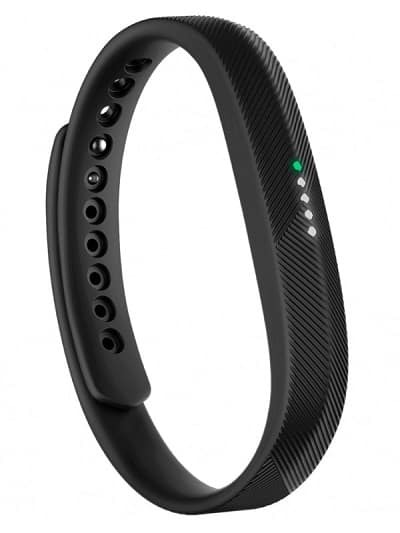 The Fitbit waterproof trackers all come with access to the Fitbit app, a painfully easy-to-use and user-friendly app that shows you everything you could ever want to know about your physical activity that day both in the water and on dryland. Let’s get to the reviews of the best waterproof Fitbits for swimmers. This one gets top billing because of it’s hilariously slim profile and for its no frills approach to tracking performance in the water. 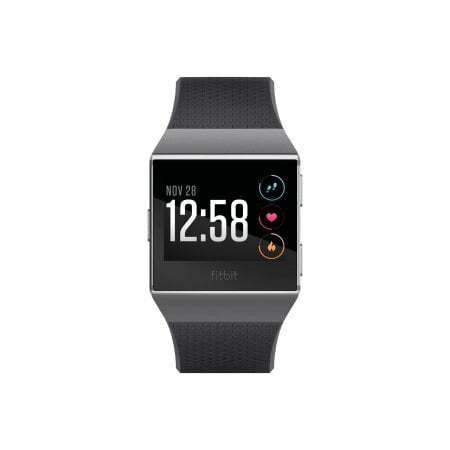 Unlike some of the other swim watches out there, the Fitbit Flex 2 doesn’t have a watch face (which makes checking your results mid-workout a non-option), but as mentioned, it has a very narrow drag profile for you resistance-obsessed swimmers (guilty). Being a Fitbit, the Flex 2 comes with all the features that you would expect including call and text notifications (probably don’t need that in the pool), sleep tracking (probably my favorite feature of any wearable beyond counting laps and strokes), and much more. Don’t recommend looking at it while swimming. Just a thought. Aesthetically, you can also do some cool stuff with the Flex 2 in terms of putting into a pendant or even a bangle. How water-proof is this bad boy? Unlike most underwater MP3 players for swimmers, which are typically only rated to 3m, the Flex 2 can go as deep as 30m. Battery life is approximately five days, which is better than average, and largely due to not having a big watch face that drains battery power. You can track stationary cardio, like if you are on a stepper (and leaning on the rails like you aren’t supposed to), or on a stationary bike by strapping the Flex 2 around your ankle. The band comes in two sizes, a large and a small, covering just about everyone in terms of wrist girth (I really just was looking for an excuse to write the word “girth”). Results get synced wirelessly to your phone and the Fitbit app with a quick click, giving you all sorts of data and pretty graphics representing your progress (or on those rare days—lack thereof). 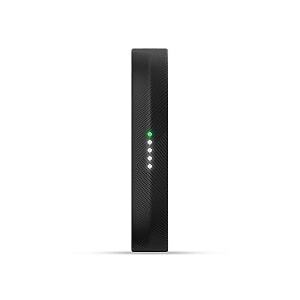 Cost: The Fitbit Flex 2 is priced extremely reasonably when it comes to wearables, coming in at around $60. Fitbits for Swimming: How Accurate Are They? The biggest issue with wearables are accuracy. No matter how novice or elite your training, we want accurate and correct data and results. You stop mid-length. You’ll likely get dinged for two laps—so try to avoid pausing mid-length. Sometimes this is unavoidable, of course—muscle cramp, equipment adjustment, or there is an errant head-up breaststroker on the wrong side of the lane. You are kicking. As someone who puts in a huge amount of work on their kickboard this is an issue. Without my hands and arms moving there is no movement to track. You can always strap your Fitbit to your ankle, but I don’t recommend this—the amount of times your feet brush against each other when kicking will become painfully apparent when there is a watch strapped to one of them. Mid-lap stroke changes. Ever switch strokes mid-length? As in, do half a lap of freestyle and then decide to finish it off doing double-arm backstroke? You guessed it—this will confuse your little smartwatch to no end. Fitbits recognize freestyle best. They are fairly up front about the fact that their watches aren’t the best at measuring and tracking the other three strokes. For a lot of lap swimmers being able to measure their freestyle is enough, and that’s where these watches are most accurate. “Excessive” rest. Fitbits can report inaccurate data and results when there are breaks of longer than a minute between reps in the pool. So, don’t slack I guess? The Fitbit Ionic is essentially Fitbit’s answer to the Apple watch, and it is their first foray into “smartwatch” territory. It’s an all-in-one watch that does everything you’d expect a wearable to be able to do, from tracking your runs, your sleeping patterns, to playing music, to just about anything else smartwatches do nowadays. Remember how the Flex 2 had no watch-face and a tiny profile? Well, the Fitbit Ionic is kinda the opposite. It has a high res square face that you can use to check progress, strokes performed, meters swum, your heart rate, the time, and pretty much anything else you want to take a gander at. The screen is also scratch-proof, which is handy for those moments that you absent-mindedly swim into the lane rope or smash hands with another swimmer. The watch is rated as waterproof up to 50m, which is head and shoulders most waterproof wearables which are typically only waterproof to 3m. Touch screen is deactivated when you are swimming so that you aren’t getting false results from the watch hitting the water while stroking. You can load it up with a whole bunch of music. As someone who compulsively listens to music (yup, rocking out as I write this, too), especially when I am working out, I love the idea that I can combine tracking my workouts with music, meaning I don’t need to lug my phone or my iPod with me to the gym when I want to do a workout both in the pool and in the weight room. You can load it up with around 250-300 songs and sync the Ionic via Bluetooth with some wireless headphones and off you go. You can download Pandora playlists at this point on the Ionic, but presently there is no support for Spotify (yet). Now, this feature probably won’t be all that useful in the pool—it will just show you a bunch of scribbly lines going back and forth (and hopefully around that black line down the middle of the pool). But open water swimming? Hell yeah. Strap that puppy on when you jump into the lake and it will give you an idea of how straight (or not) you are actually swimming. I really like this feature as guesstimating how much of a straight line we are swimming in is hard to do when we don’t really have any measurable landmarks or features in the water to guide us (unlike in the pool when we gots those lane ropes and the aforementioned black line). Two bands included with each watch. Like its little bro, the Ionic comes with two bands, one small and one large. How long does the Ionic battery last? Battery life maxes out around 4 to 5 days depending on usage and frequency of checking—if you are rolling your wrist every thirty seconds to see how many steps you’ve taken the battery life is correspondingly going to plummet. SmartPay feature. You can use your Fitbit Ionic to pay for purchases by linking your credit card at approved locations and outlets. Call me old school, but I prefer paying with my credit card or cash physically. These crazy kids and their space magic and social media! Custom clock faces. This is something that puts it squarely into smartwatch territory in my opinion—the ability to configure and customize the face of the watch is a biggie and makes the wearable look neat-o in and out of the water. Cost: The Fitbit Ionic, with the added features and screen, is more expensive than the Flex 2, coming in at around $260. The Garmin Swim Watch: A Simplified Watch for Swimmers. Garmin, one of the top wearable companies on the planet, has a watch made strictly for swimming. Here’s a look at what it does (and doesn’t) do. The Best Waterproof Headphones for Swimming. Need a little extra push to crush today’s swim practice? Here’s your ultimate breakdown of the best waterproof headphones for swimmers. The Best Swim Lap Counters for Tracking Laps and Splits. Ready to go low-tech with your lap counting? These simple devices will make sure you don’t lose track of where you are at again.